The first parenting book to bring the science and psychology of children's behavior together to build brain/body awareness for self-regulation and success. Self-regulation is the nervous system's way of responding to stress. We are seeing a generation of children and teens with excessively high levels of stress and, as a result, an explosion of emotional, social, learning, behavior, and physical health problems. But few parents recognize the hidden stressors that their children are struggling with physiologically as well as socially and emotionally. An entrenched view of childrearing is seeing our children as lacking self-control or willpower, but the real basis for these problems lies in excessive stress. Self-regulation can dramatically improve a child's mood, attention, and concentration. It can help children to feel empathy and to develop the sorts of virtues that every parent knows are vital for their child's long-term well-being. Self-regulation brings about profound and lasting transformation that continues to mature throughout life. 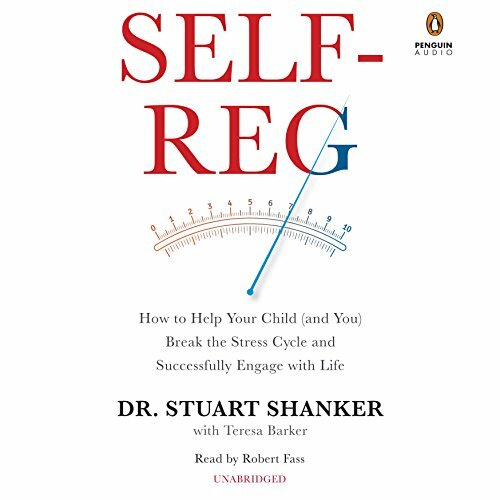 Shanker translates decades of his findings from working with children into practical, prescriptive advice for parents, giving them concrete ways to develop their self-regulation skills and teach their children how to do the same for optimal learning, social, and emotional growth as well as for overall well-being. View More In Stress Management.